Hear Dennis Scholl, Vice President of Arts for the Knight Foundation and well-known art collector, talk about what today’s audiences want from the arts. Dennis will give examples from the Knight Foundation’s own engaging initiatives, including the Random Acts of Culture, Knight Arts Challenge and Community Supported Art programs. He’ll also discuss the challenges cultural institutions face in keeping pace with their audiences in the face of the digital revolution and changing demography. In addition to his work with the Knight Foundation, Dennis is the founder of a series of initiatives dedicated to building the contemporary art collections of museums, including the Guggenheim, the Tate Modern and the Miami Art Museum. He is a three-time regional Emmy winner for his work in cultural documentaries. In 2012, he was a Harvard University Advanced Leadership Fellow, focusing on the role of culture in community engagement. Dennis is currently a Visiting Scholar at the Massachusetts Institute of Technology Media Lab. Previously, he was a practicing attorney and CPA. 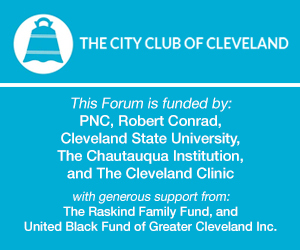 In Partnership with Cuyahoga Arts & Culture.